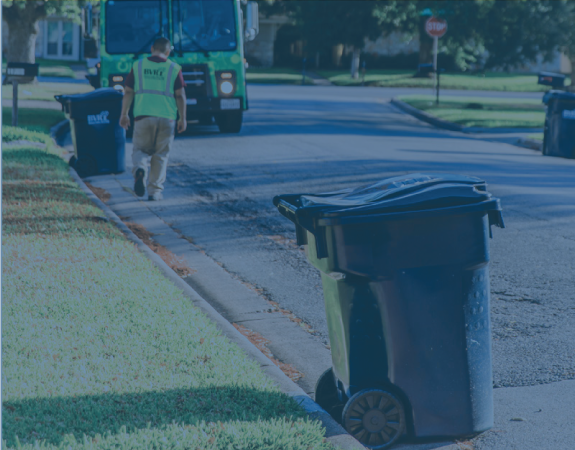 Single Stream Recycling is available within the Bryan College Station city limits ONLY. Outside the city limits? Call us at 979-260-0006 for service area. Need Waste Pick-up Service? Contact us for pricing and availability. Bi-Weekly Pickup For Residents & Businesses MUST BE IN CITY LIMITS. 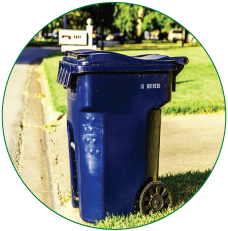 The single-stream recycling program allows you to place your recyclables in one 96 gallon container. The only item that needs to be bagged in clear plastic is shredded paper. Nothing else should be bagged. 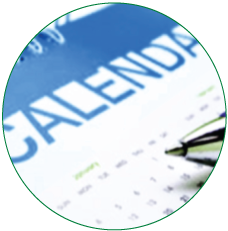 Check the Collection map to confirm your collection schedule. On your designated collection day, place your full container at the curb by 8 a.m. It should be about 4 feet from obstructions, including your green garbage container. After collection, the container should be removed from the curb within 12 hours. RECYCLABLES: Glass (all colors), Aluminum/Metal Cans, #1 & #2 plastics, Mixed/white paper, Magazines, Junk mail. Newspaper with inserts, Brown paper bags. Phone books, Flattened cardboard, Shredded paper (must be placed in clear plastic bags), Paperboard (such as cereal boxes). All recyclables must be dry and free of food debris. Caps from plastics should be removed and discarded. Rinse and clean ALL containers. On your designated collection day, place your full container at the curb by 8 a.m. It should be about 4 feet from obstructions, including your green garbage container. After collection, the container should be removed from the curb within 12 hours.